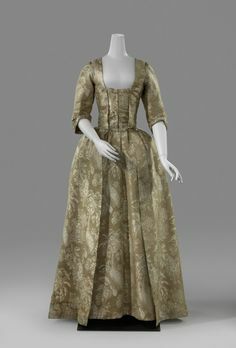 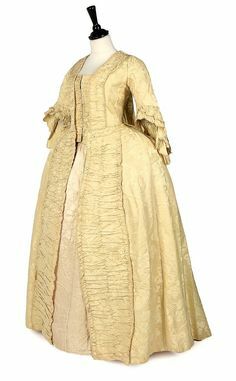 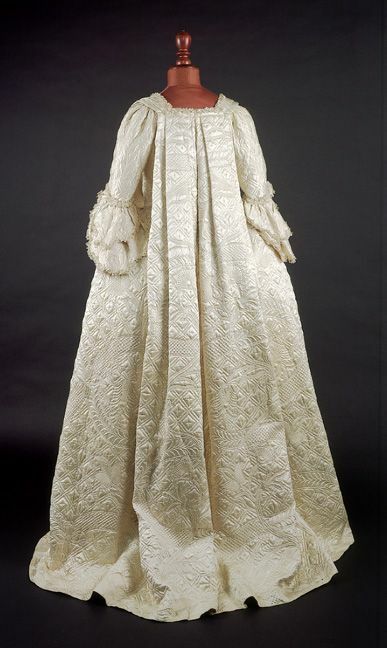 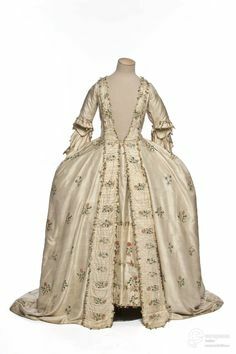 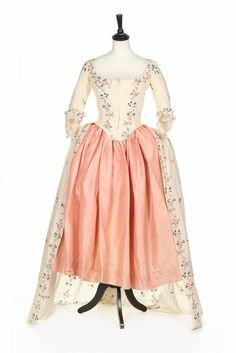 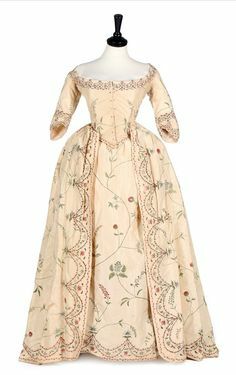 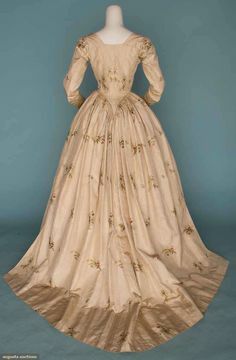 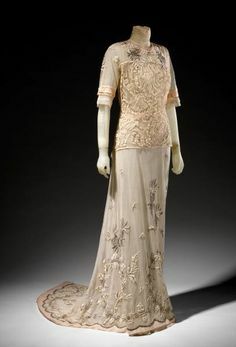 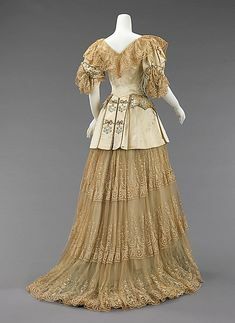 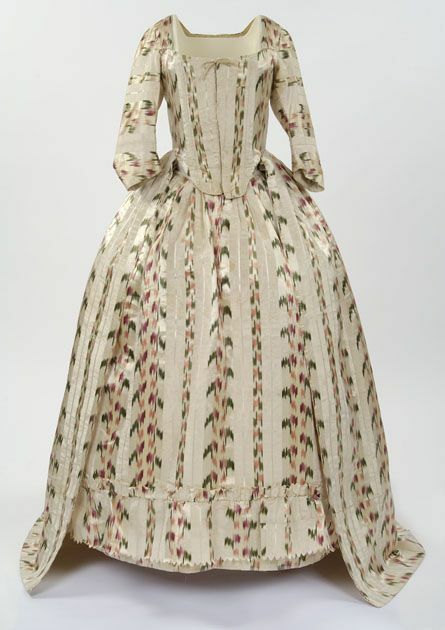 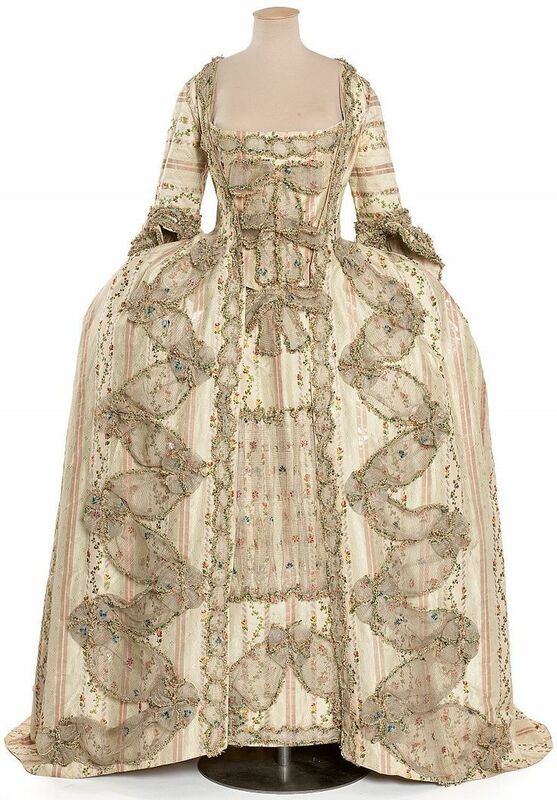 OBJECT 23 - Cream silk tambour embroidered closed gown, 1780s. 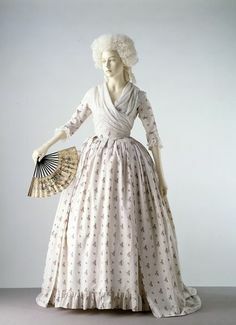 Fashion Museum Bath. 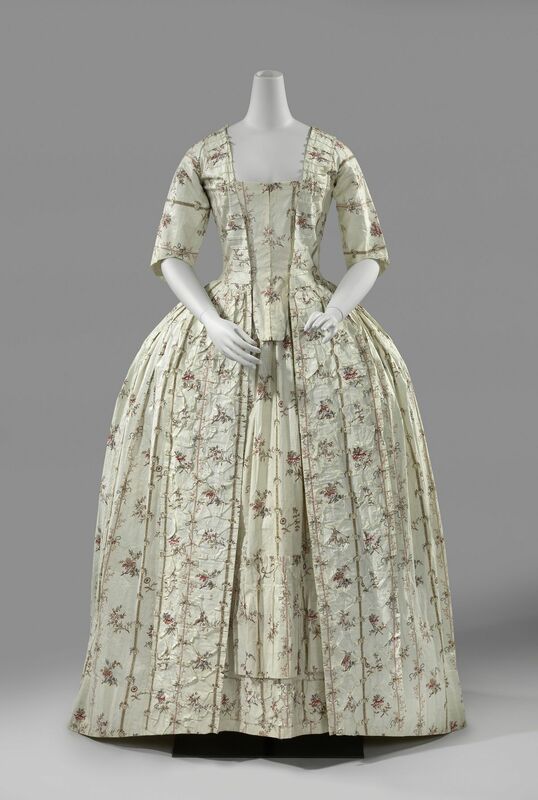 Susan reporting, This lovely two-piece ensemble is on display in the Printed Fashions: Textiles for Clothing and Home Exhibition (curre. 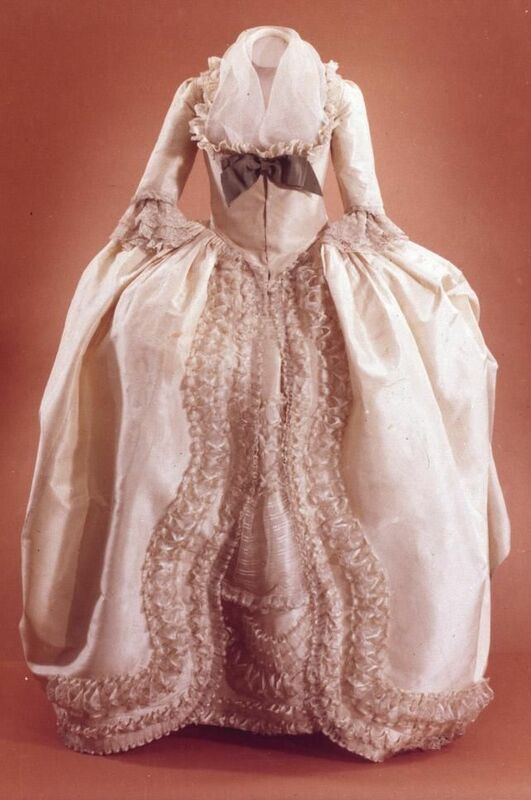 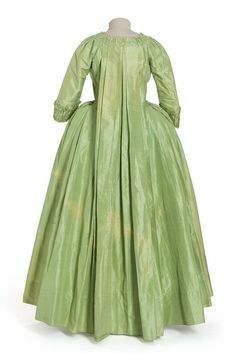 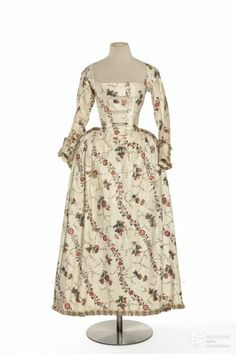 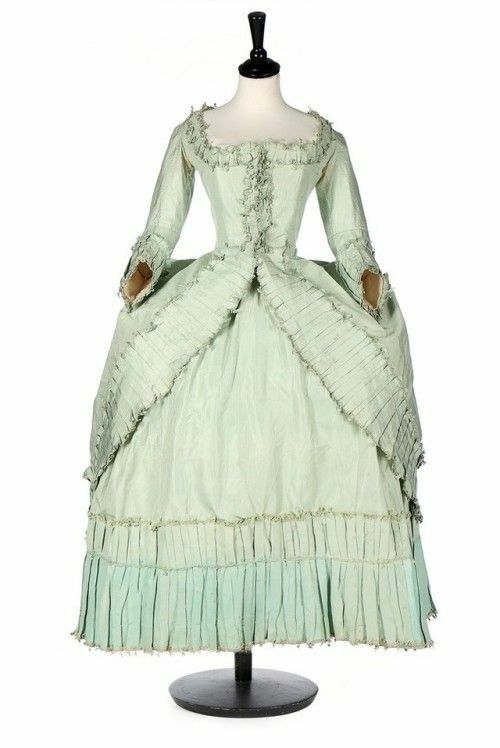 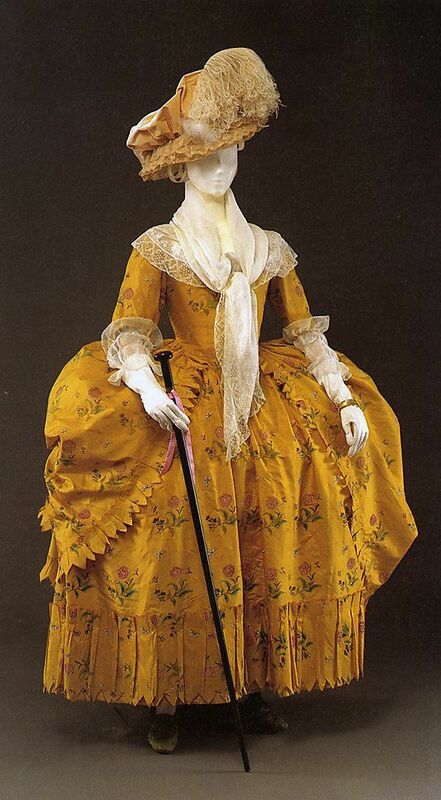 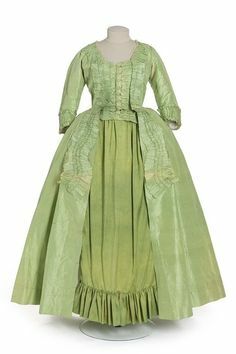 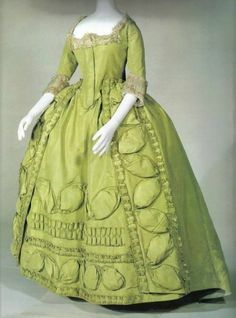 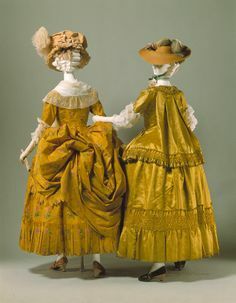 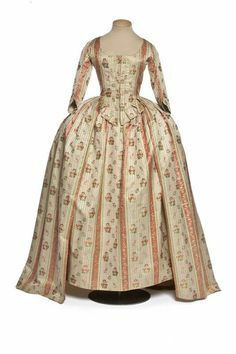 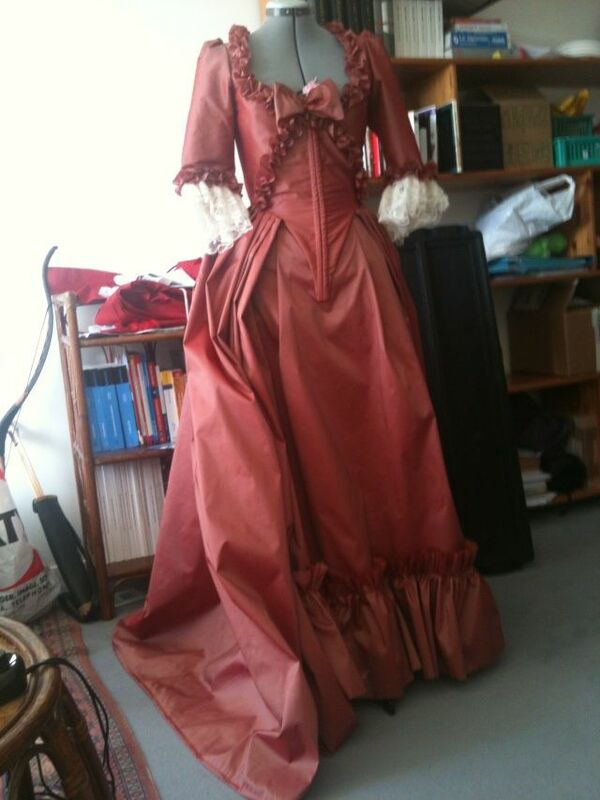 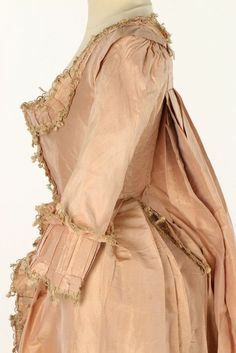 omgthatdress: Dress 1780s The Kyoto Costume. 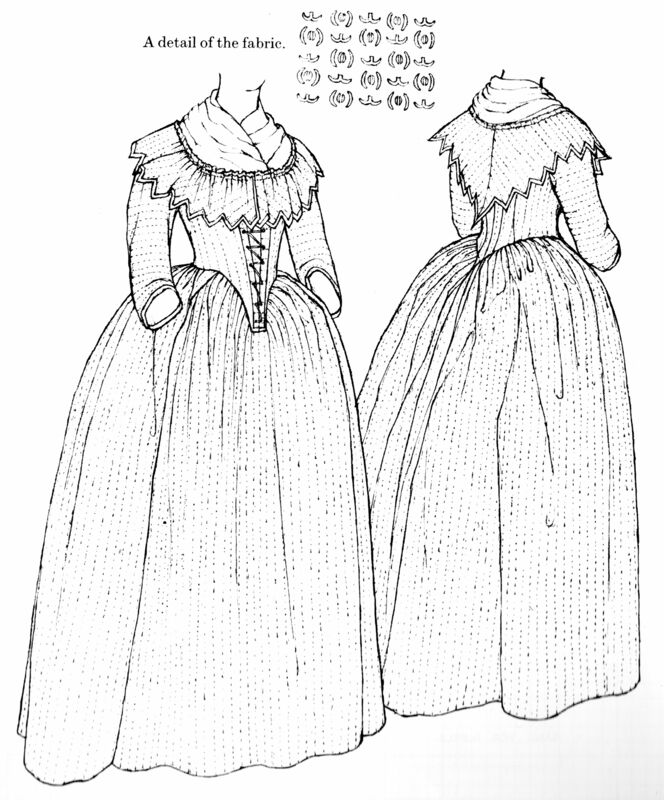 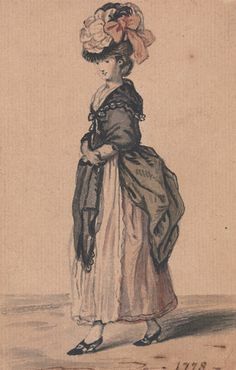 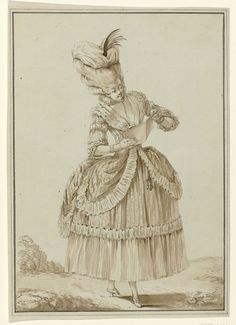 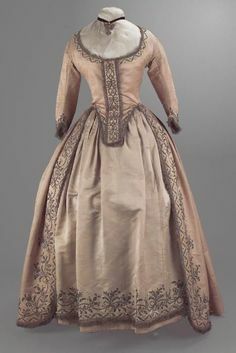 Line drawing by Janet Arnold; A gown with a front fall opening and a vandyked collar C.1780-90, The Gallery of English Costume. 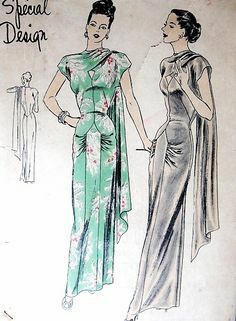 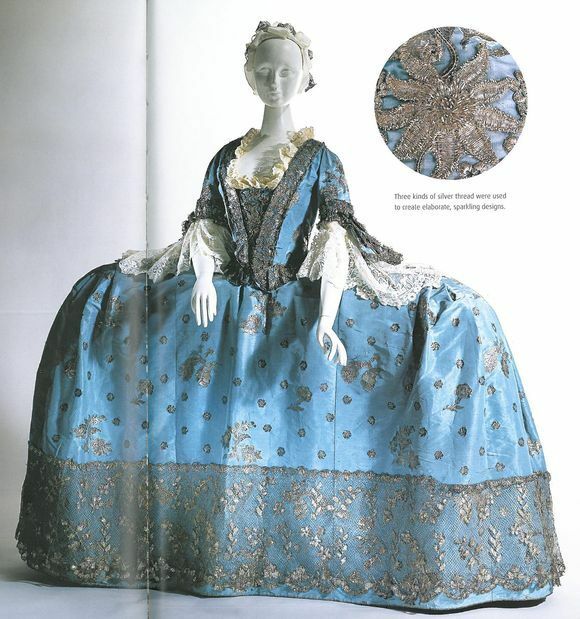 From Patterns of Fashion 1. 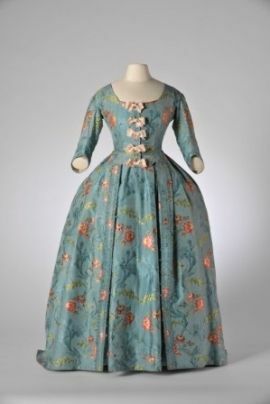 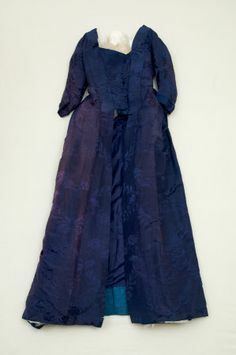 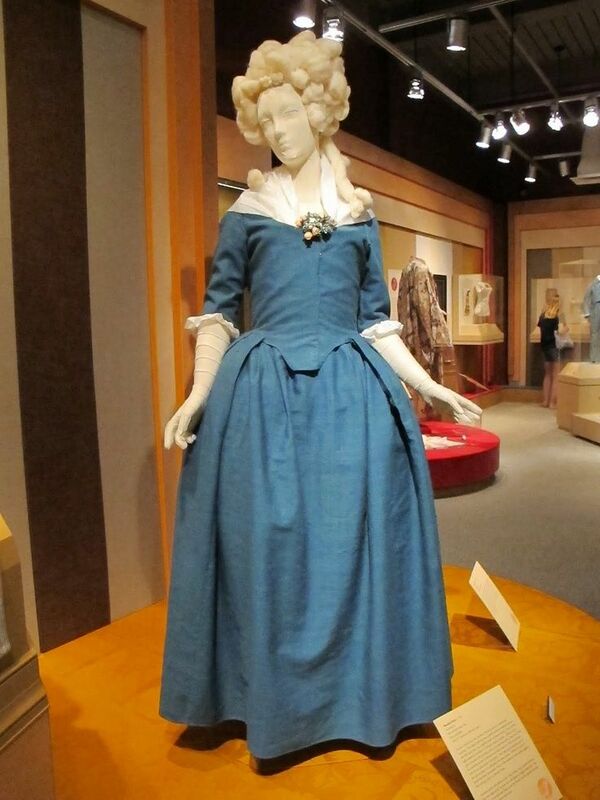 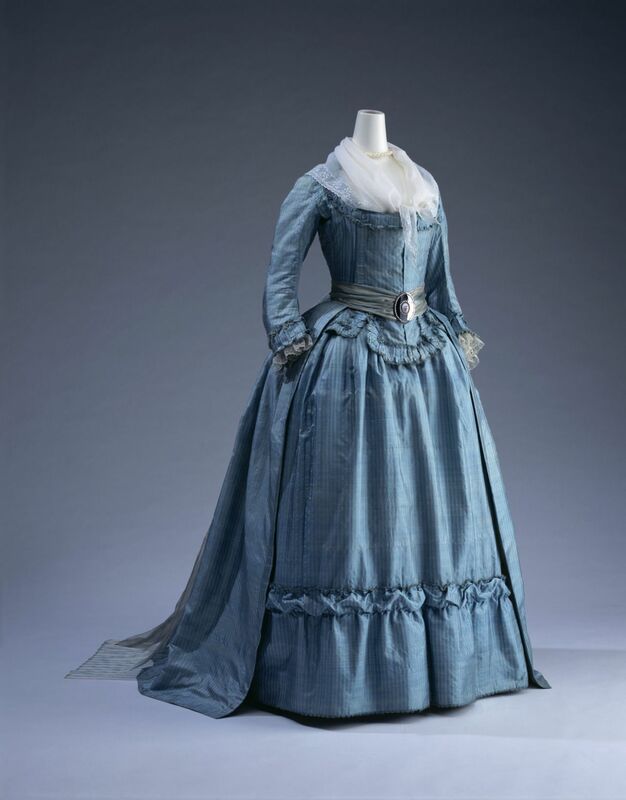 18th century linen dresses | Blue linen round gown from the Historic Deerfield Textile Museum. 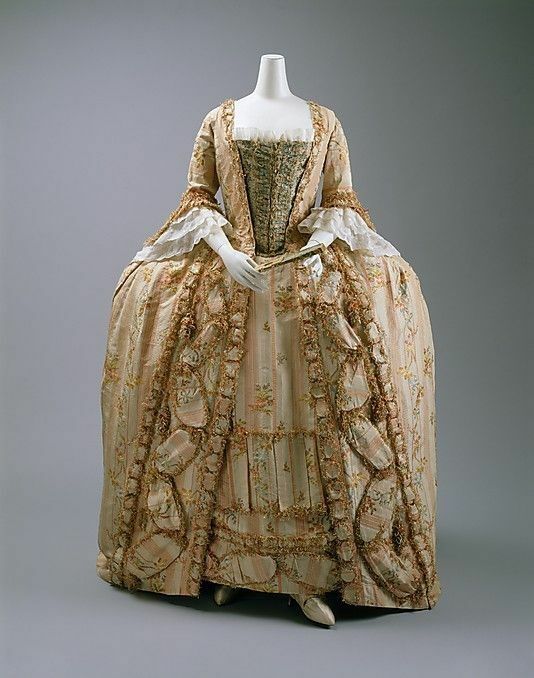 Robe a l'anglaise ca. 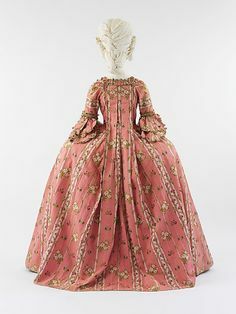 1780's colour : stone / pink. 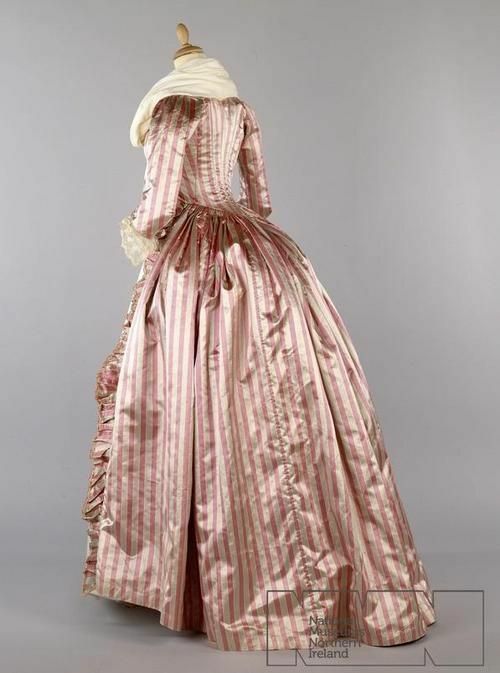 design : striped silk satin stone pink openrobe, lined with silk gauze. 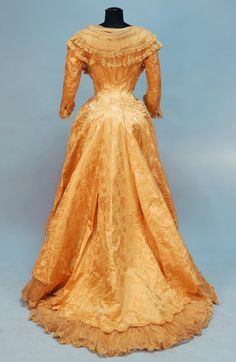 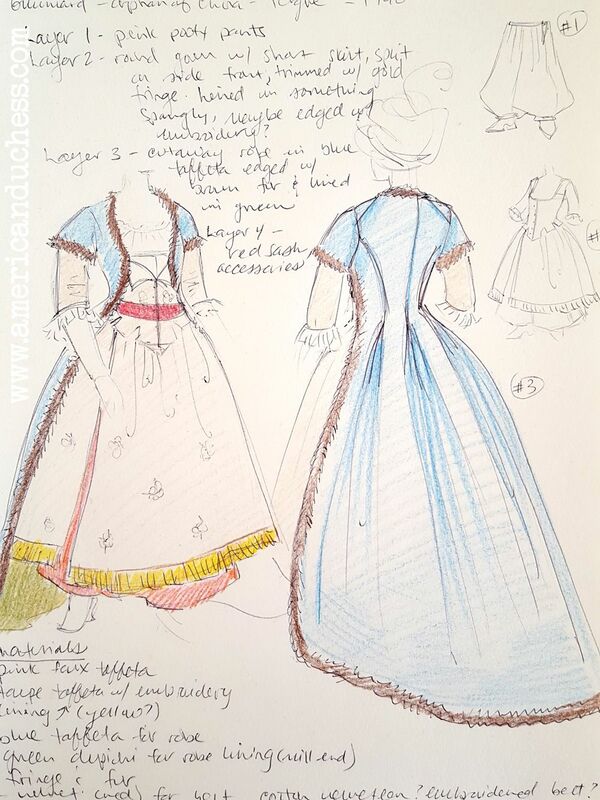 Historical costuming and vintage sewing projects, with dress diaries and research on period dress from the 16th to the 20th century. 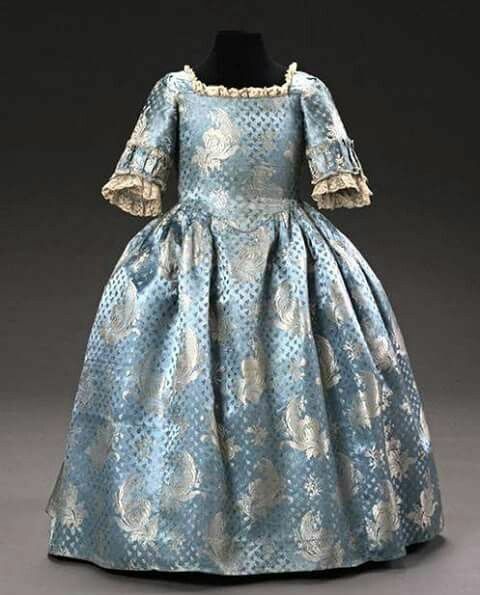 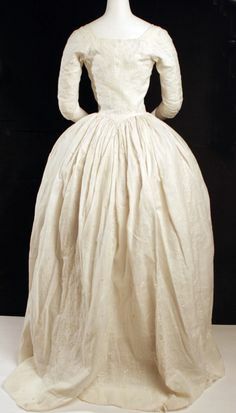 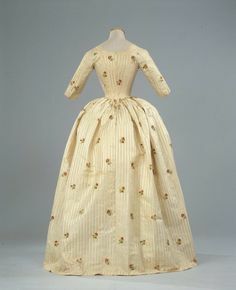 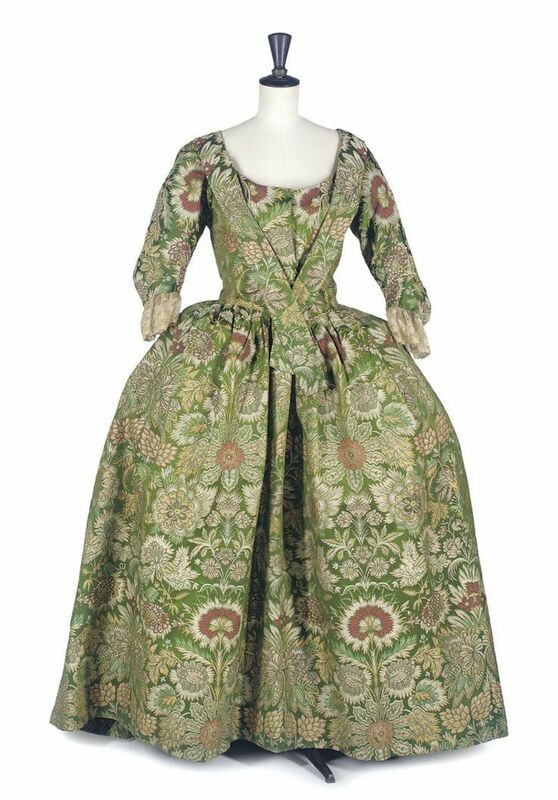 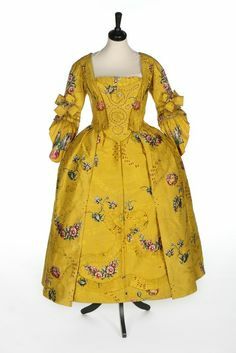 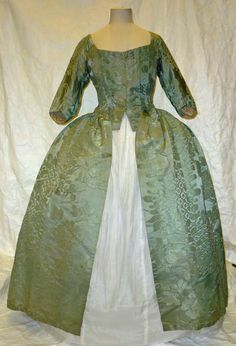 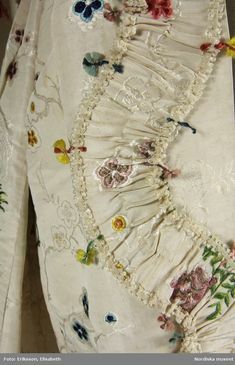 18th century silk dress for child. 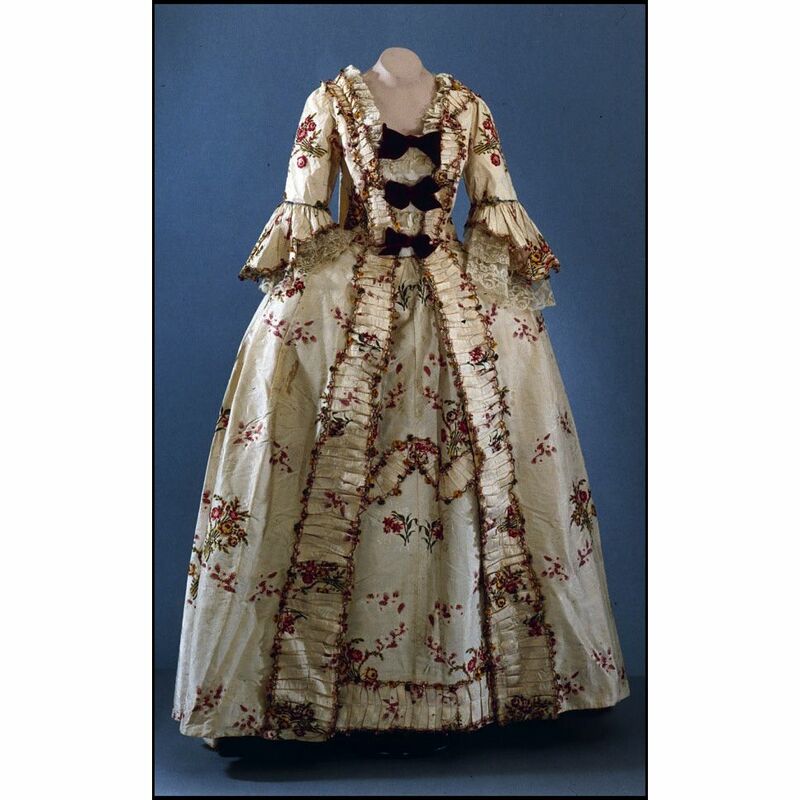 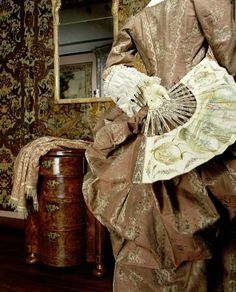 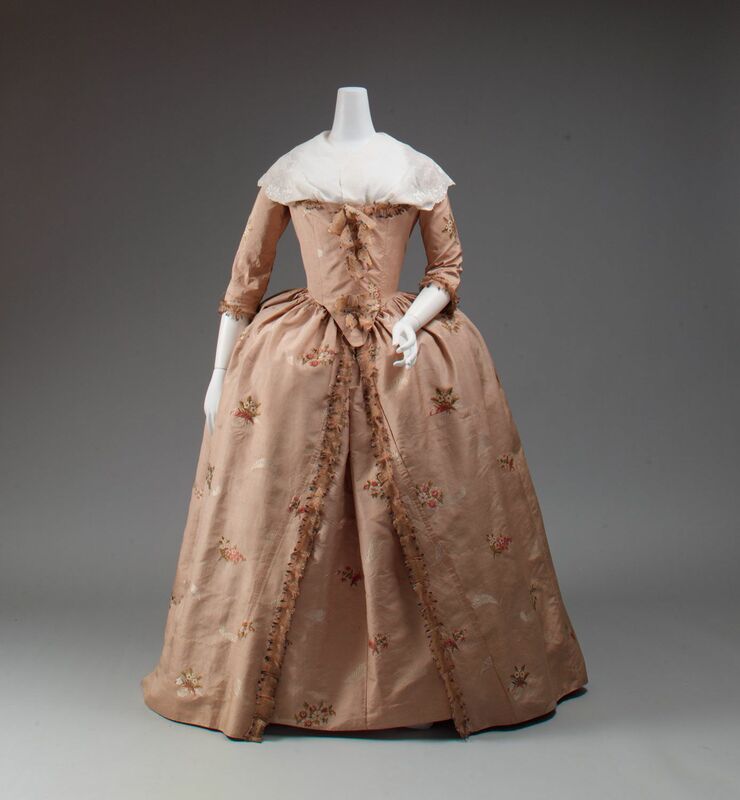 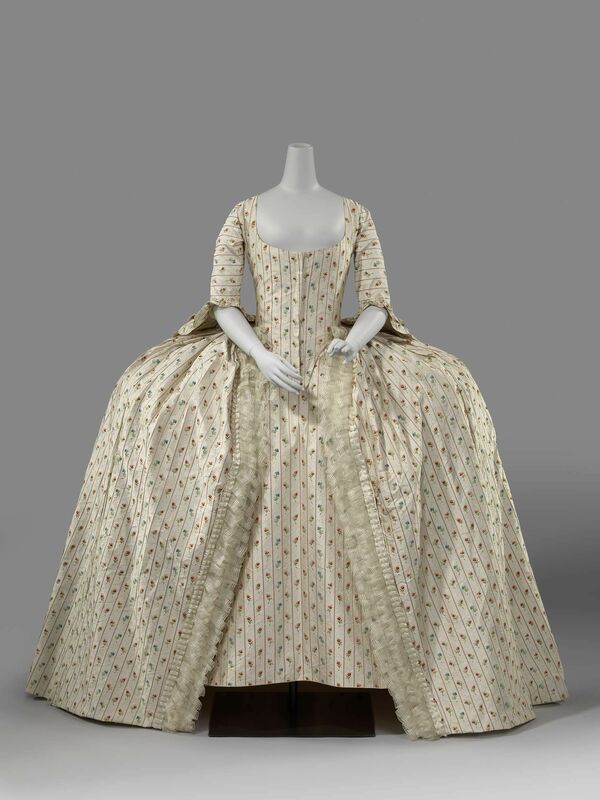 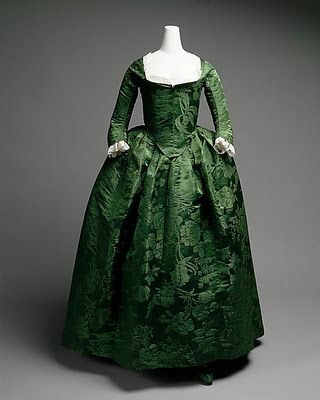 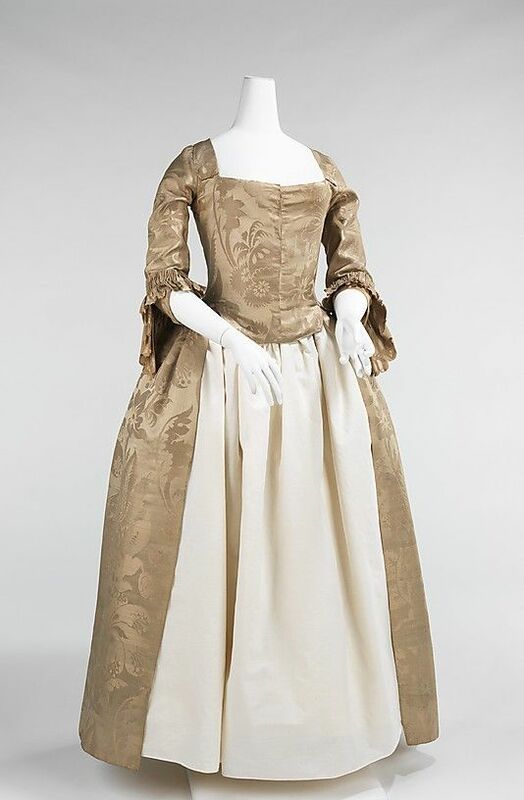 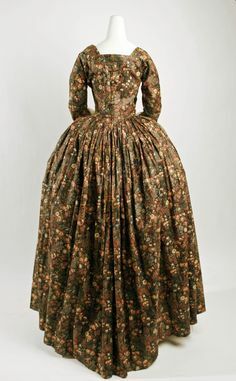 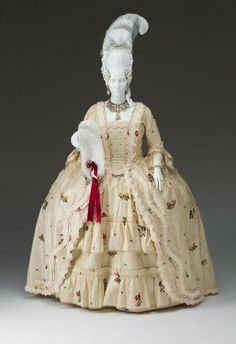 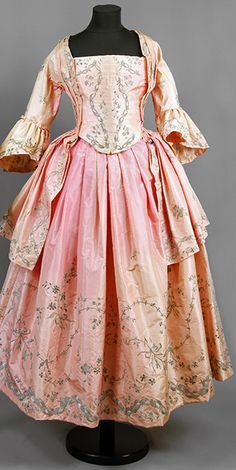 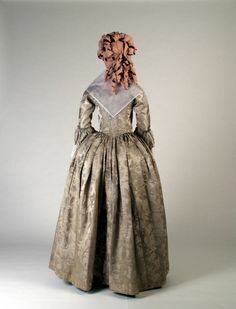 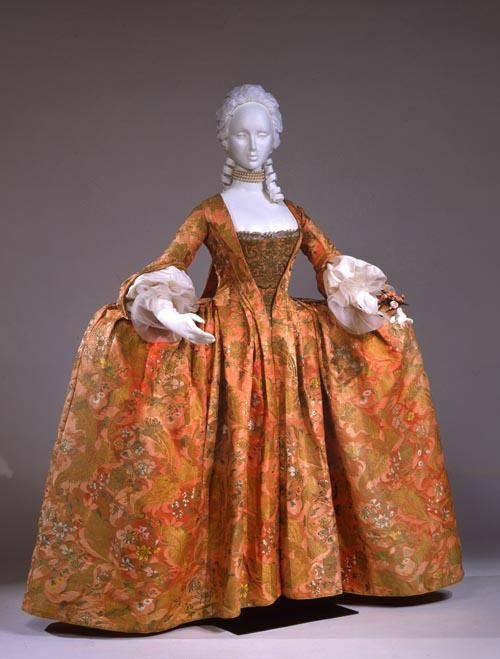 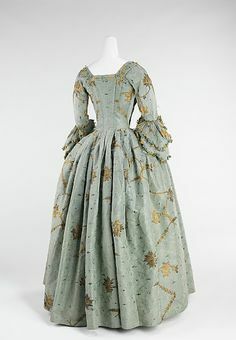 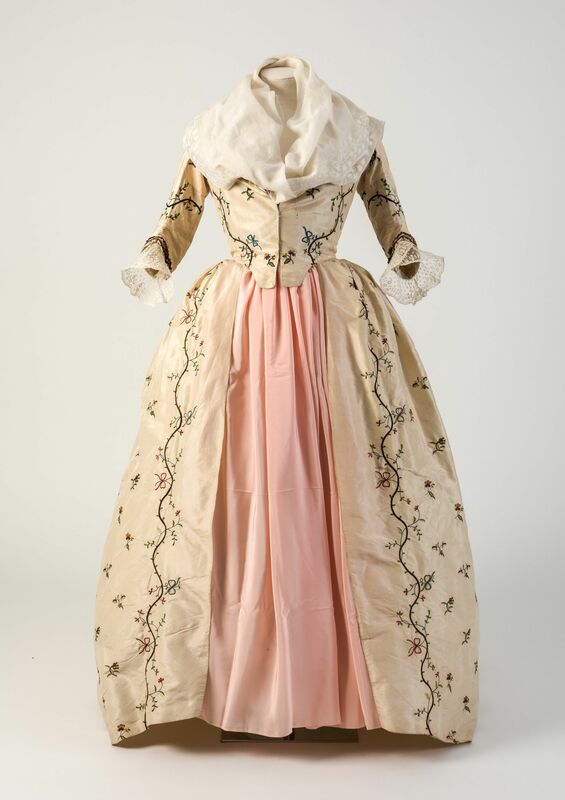 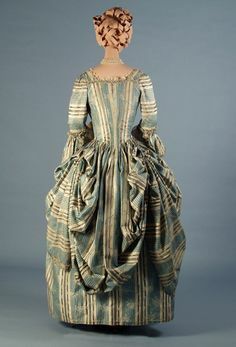 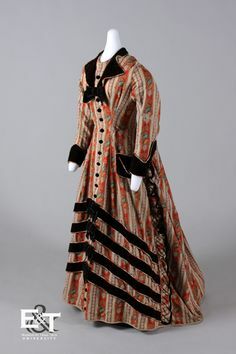 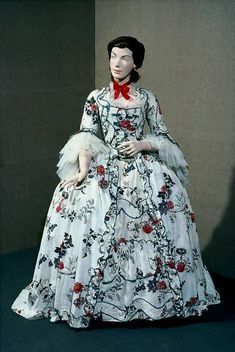 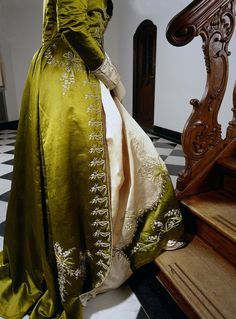 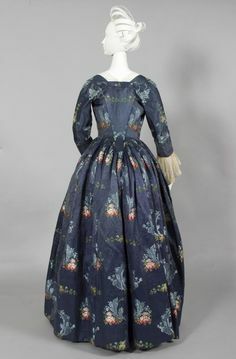 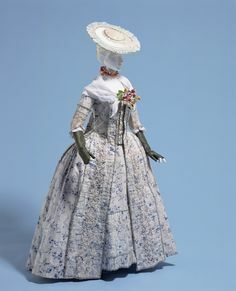 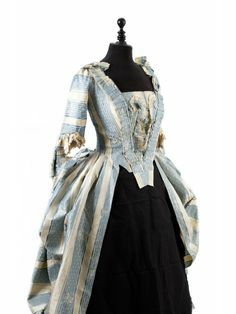 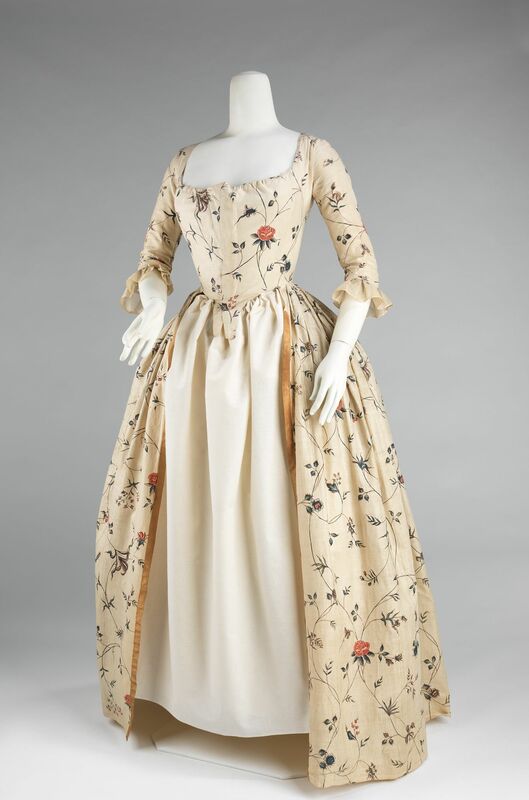 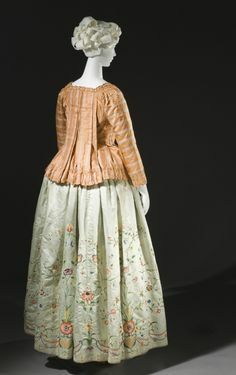 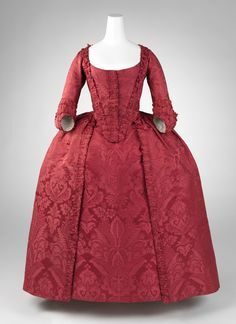 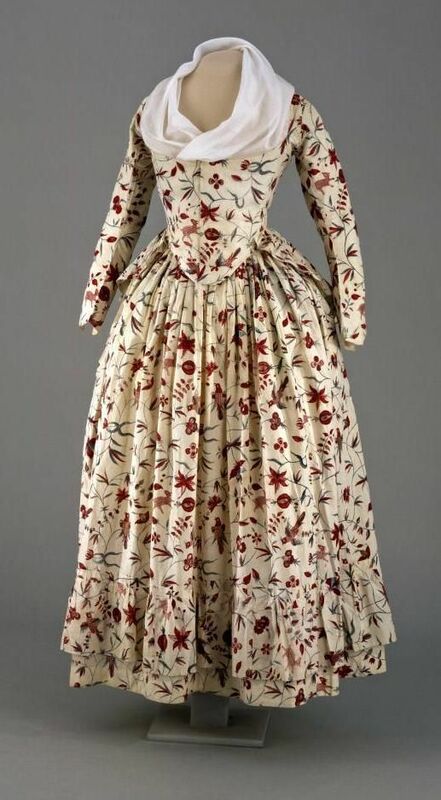 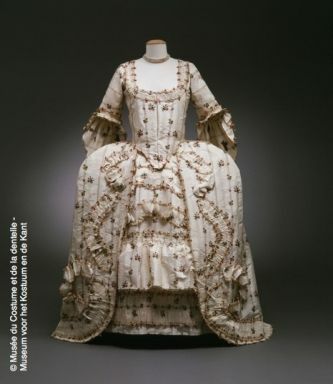 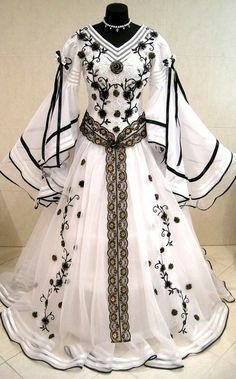 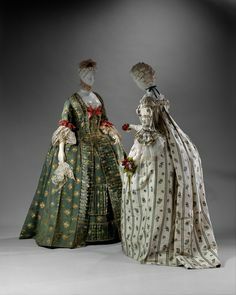 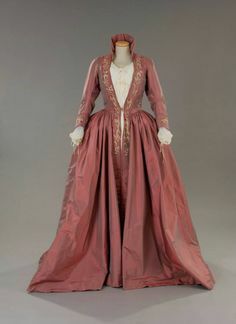 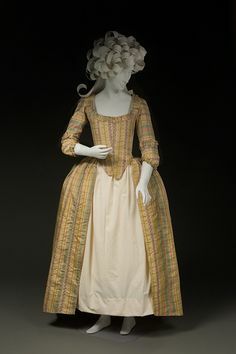 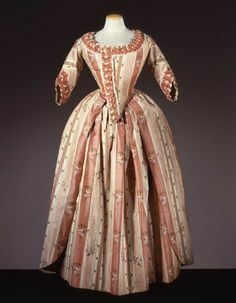 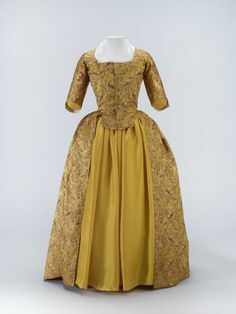 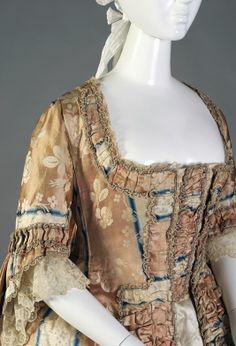 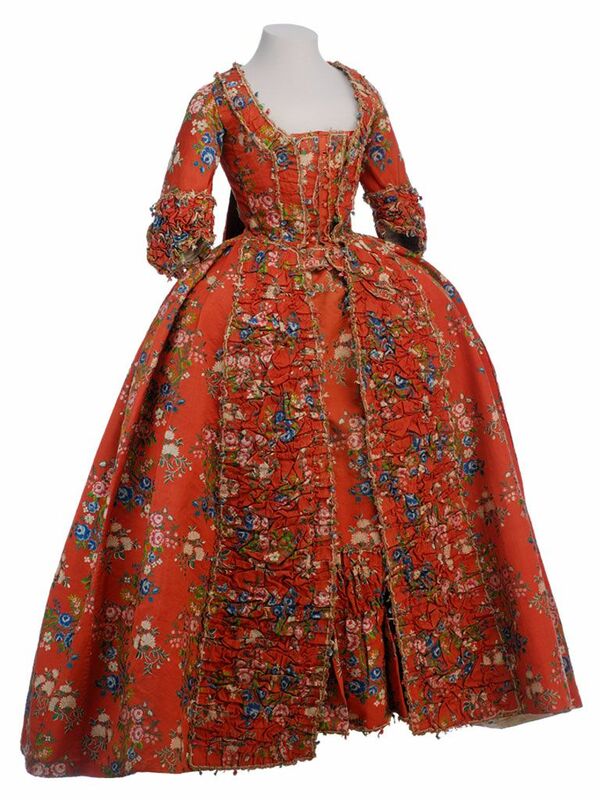 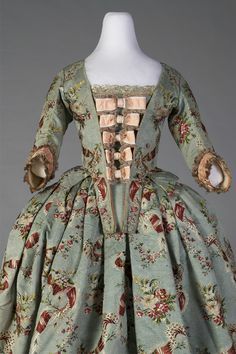 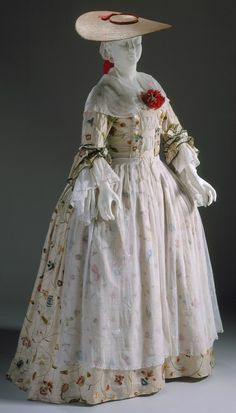 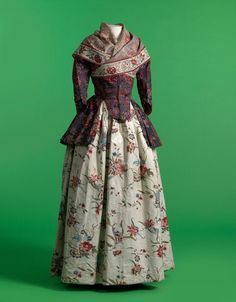 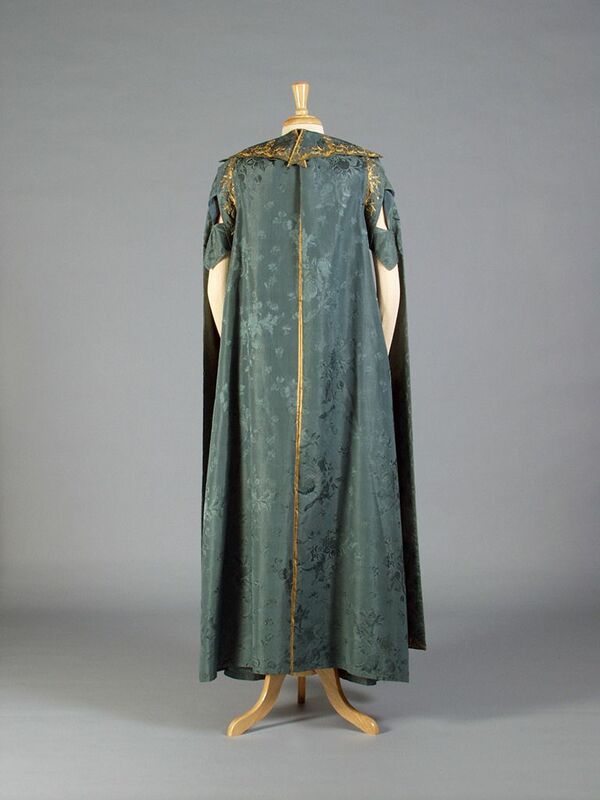 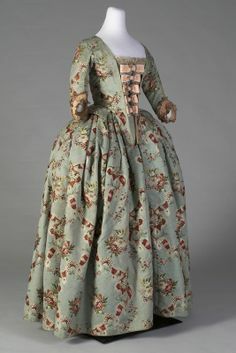 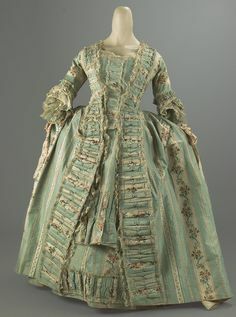 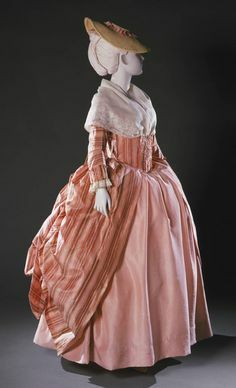 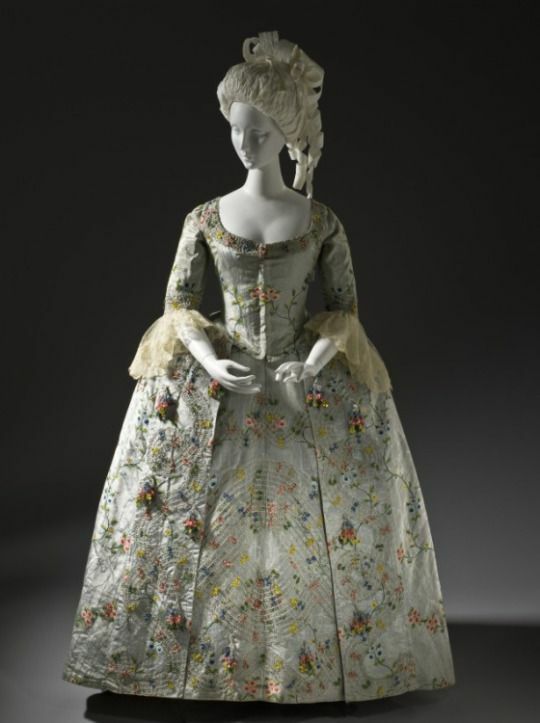 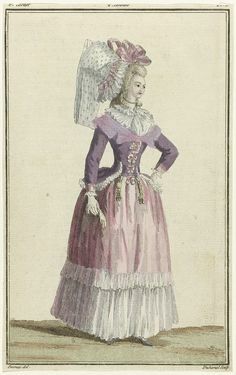 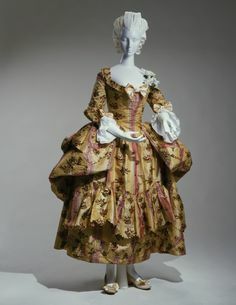 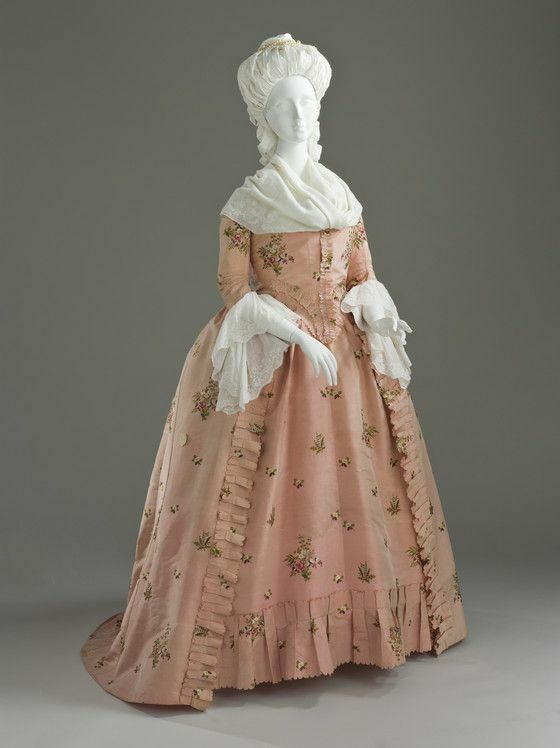 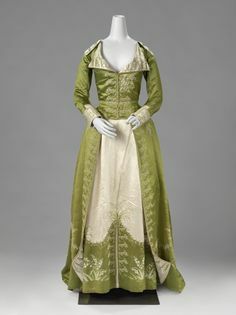 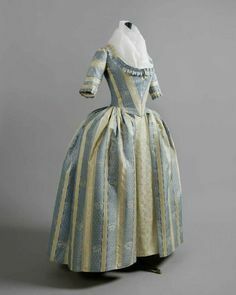 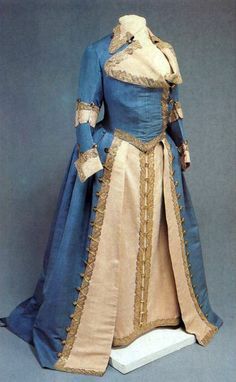 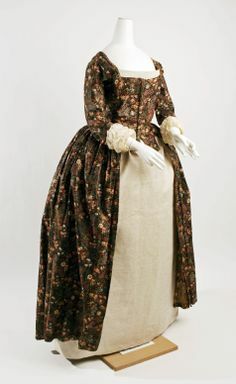 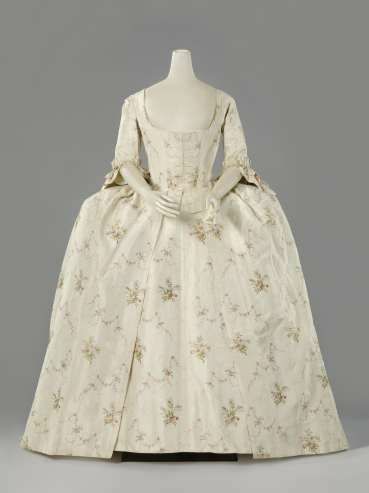 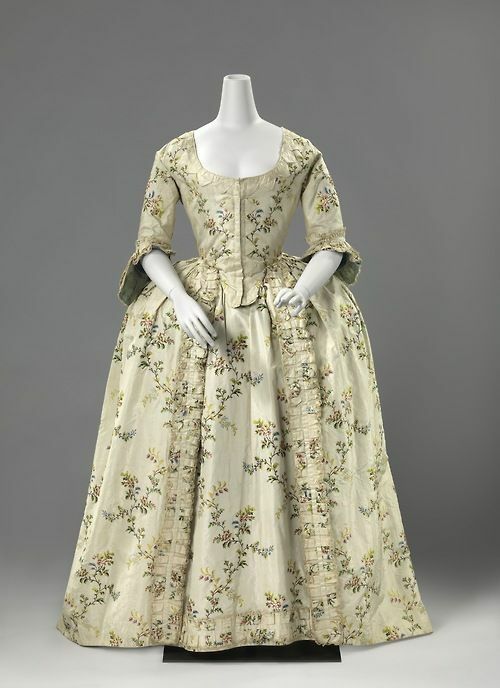 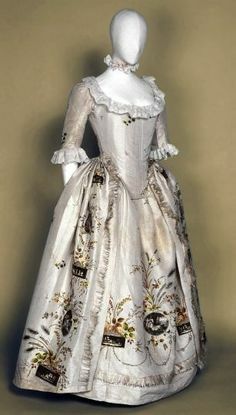 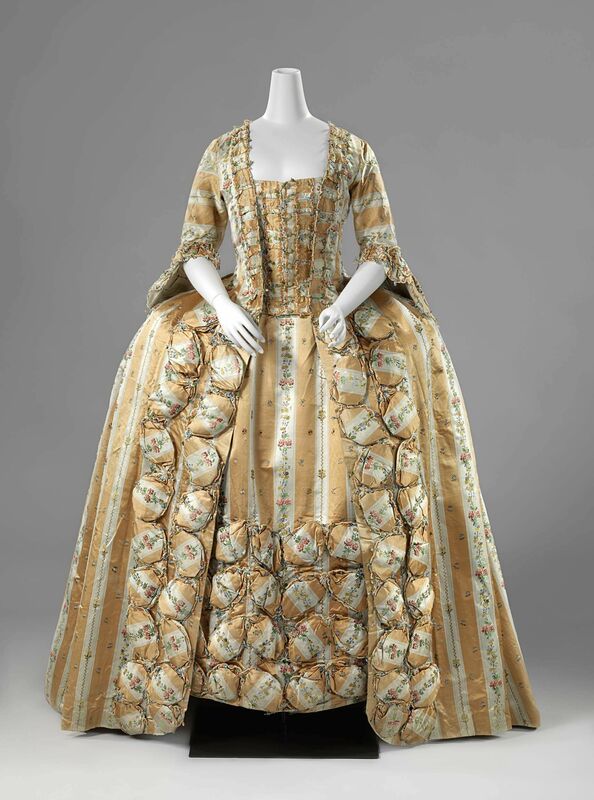 1760's - Robe à la Française, France.